No IT infrastructure these days can be described in simple terms. They are all complex systems. 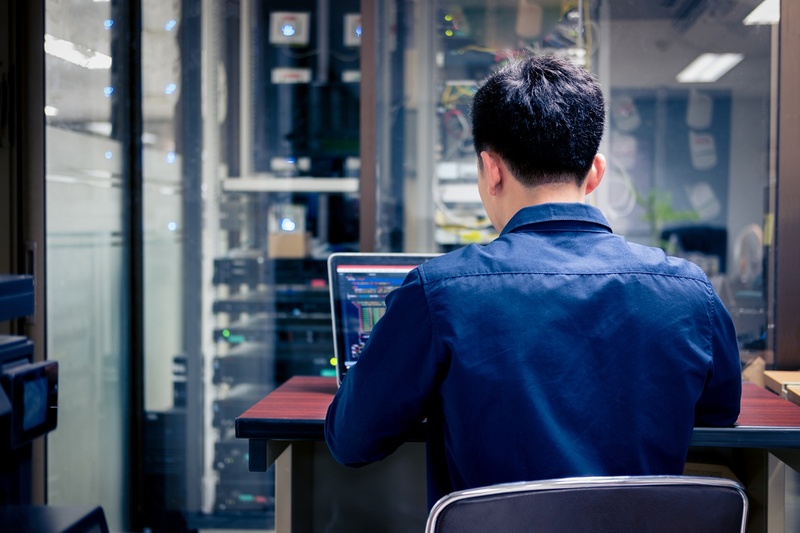 Consider the vast interconnection of devices, their distribution (be it on-site, cloud-based, or more likely hybrid cloud), the applications and processes running on them and the tools we use to operate and manage it all. They each play a role in the infrastructure that provides the business services your employees and customers depend on. If that sounds overly dramatic, keep in mind that one of the measures of complexity is the sheer amount of words it takes to describe a system or process. Fortunately, the world of IT operations management (ITOM) revolves around bringing order to this chaos. Managing this complex infrastructure is no easy task. On one hand, there is the daily need to keep the current infrastructure up and running to provide an acceptable level of service availability and performance. On the other hand, strategic aspects such as incorporating new technologies and scaling to meet evolving business needs bring a different set of challenges. 1. Visibility. A good start is to understand what you’re dealing with. It is essential to always have a snapshot of what the infrastructure looks like in real time. As your IT environment evolves, subsequent generations of equipment and services get cobbled together. Older equipment gets phased out and newer technologies come into play. It is critical to stay on top of this churn by obtaining complete visibility into the topology and dependencies between discrete components. Platforms and tools that provide capabilities to detect changes in the infrastructure are invaluable. Auto-discovery and topology mapping systems, for example, are key to keeping up with dynamic, modern IT infrastructures. 2. Monitoring. Discovering and maintaining knowledge of the infrastructure components and relationships is just the first step. Monitoring is the next. Each element has unique monitoring and configuration needs and template-based automations are indispensable in overcoming that issue. Automation makes it possible to rapidly bring new devices and processes under the monitoring and management umbrella. 3. Business Impact. Once this challenge is addressed, it is necessary to be able to overlay a picture of the business services the infrastructure supports. Business impact technologies provide the ability to rapidly determine which customers, users and business processes are affected when there is an issue with the underlying infrastructure components, providing a real-time picture of business impact. Having a holistic view is also beneficial when planning in terms of change control, disaster recovery and business continuity. 4. Remediation. Problem resolution tools are another facet in the equation. After all, uptime, service availability and performance are key goals in ITOM. Automations play an effective role here by taking the labor out of repeatable tasks and adding efficiency to resolve problems easily and more quickly. 5. Advanced Analytics. With the emergence of artificial intelligence (AI) technologies based on machine learning (ML) and big data, it is now possible to make the next big leap. These techniques, in association with threshold and trend-based analytics, have the ability to provide predictive capabilities. This makes it possible to get a heads up when a particular resource is getting maxed out – and then to automatically take appropriate actions, such as provisioning more resources, to get ahead of the impending problem. The increasing capabilities of these AI and ML systems results in less manual intervention and frees up valuable IT staff to address other complexities. Management platforms that combine automations with the ability to rapidly incorporate AI and ML provide another benefit: they can be used to build knowledge bases to capture business intelligence. 6. Consolidating Toolsets. It is impossible to ignore the frequency with which new and disruptive technologies emerge and the impact they have on IT operations. Exciting new paradigms for providing services have emerged in recent years and the near future is certain to yield even more revolutionary technologies. Each new technology brings with it a whole slew of tools to deploy, operate and manage the system. Toolsets rapidly multiply, so rarely is there time to make them interoperable and incorporate them into the workflow. Operations platforms that consolidate management toolsets and provide extensibility are extremely useful in this regard. ITOM platforms that provide single screen capabilities can help IT staff from getting overwhelmed by a desk full of monitors running different tools. Managing complexity is an integral part of IT operations management and the better you plan for these changes, the better you’ll be able to manage IT complexity going forward. The better you get at it, the more effective the business services you are delivering over your IT infrastructure will be.